Phin-Doggett. 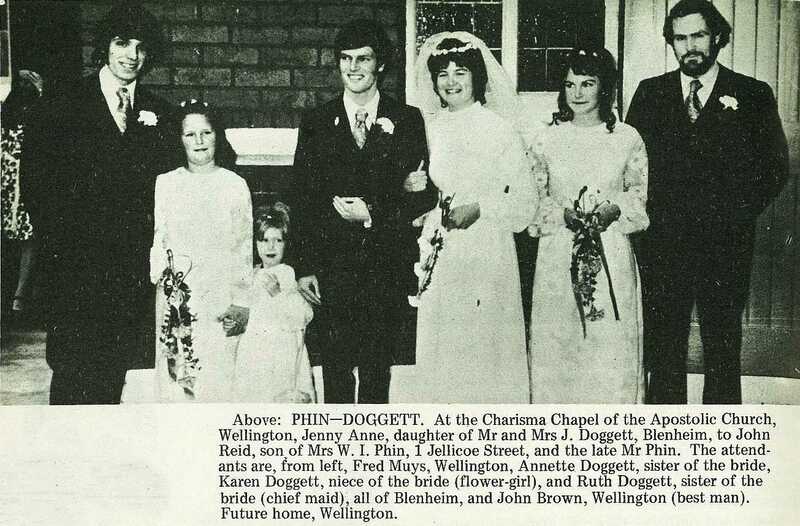 At the Charisma Chapel of the Apostolic Church, Wellington, Jenny Anne, daughter of Mr and Mrs J. Doggett, Blenheim, to John Reid, son of Mrs W. I. Phin, 1 Jellicoe Street, and the late Mr Phin. The attendants are, from left, Fred Muys, Wellington, Annette Doggett, sister of the bride, Karen Doggett, niece of the bride (flower-girl), and Ruth Doggett, sister of the bride (chief maid), ail of Blenheim, and John Brown, Wellington (best man). Future home, Wellington. 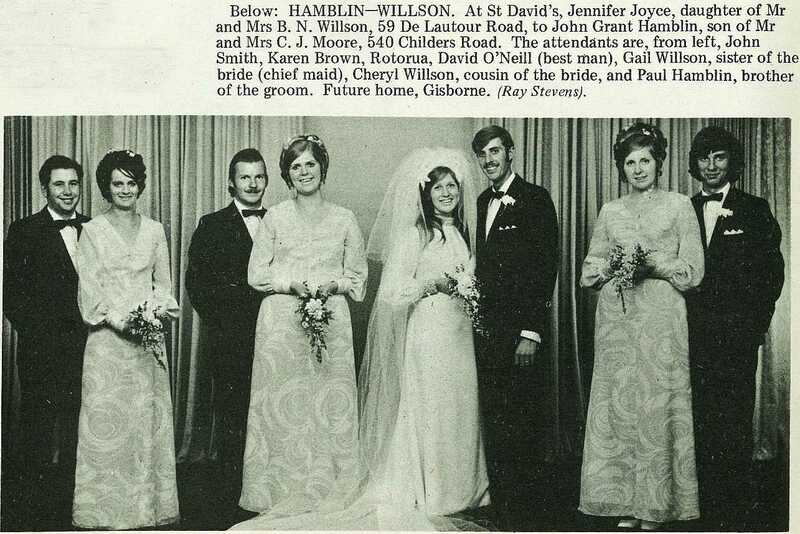 Hamblin-Willson. 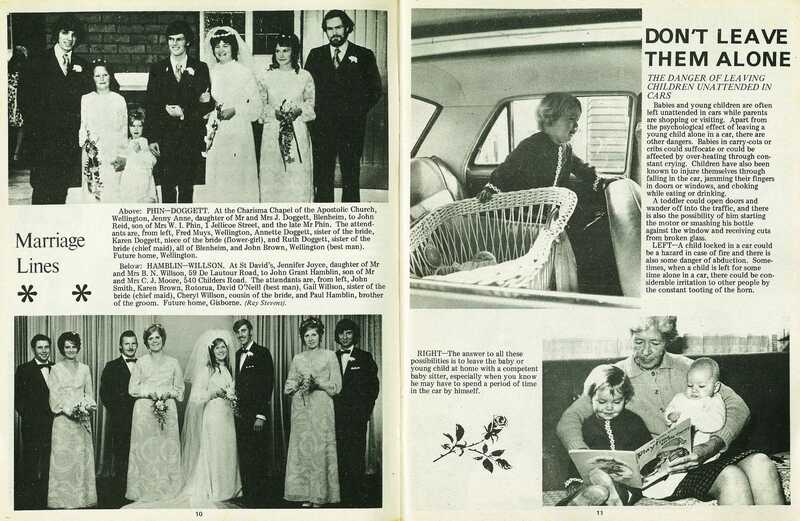 At St David's, Jennifer Joyce, daughter of Mr and Mrs B. N. Willson, 59 De Lautour Road, to John Grant Hamblin, son of Mr and Mrs C. J. Moore, 540 Childers Road. 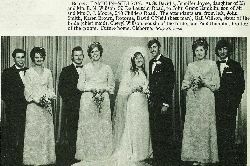 The attendants are, from left, John Smith, Karen Brown, Rotorua, David O'Neill (best man), Gail Willson, sister of the bride (chief maid), Cheryl Willson, cousin of the bride, and Paul Hamblin, brother of the groom. Future home, Gisborne. 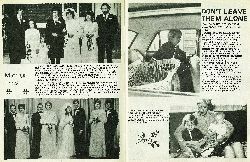 (Ray Stevens).